Trump tweeted his claim after days of swirling questions about Cohen over the issue of pardons. It has emerged as a key line of inquiry for Democrats launching a series of sweeping investigations into Trump's political and personal dealings. "Bad lawyer and fraudster Michael Cohen said under sworn testimony that he never asked for a Pardon. His lawyers totally contradicted him. He lied!" Trump tweeted aboard Air Force One while en route to inspect damage from deadly tornados in Alabama. "Additionally, he directly asked me for a pardon. I said NO. He lied again! He also badly wanted to work at the White House. He lied!" Cohen took to Twitter minutes later to deny the accusation. "Just another set of lies by @POTUS @realdonaldtrump. Mr. President" he wrote, before invoking the women whose hush-money payments he helped facilitate. "Let me remind you that today is #InternationalWomensDay. You may want use today to apologize for your own #lies and #DirtyDeeds to women like Karen McDougal and Stephanie Clifford." Davis' comment raises questions about whether Cohen — who is slated to begin a three-year prison sentence in May for crimes including lying to Congress — lied to Congress again last week. 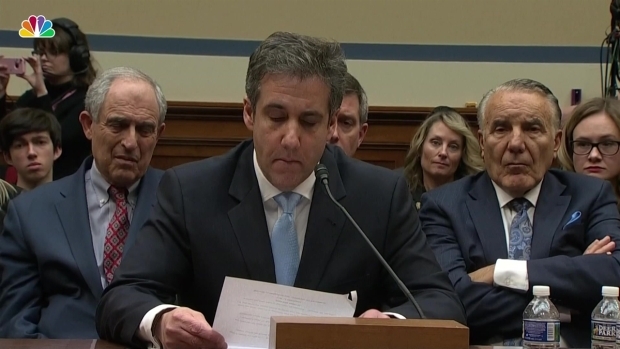 Cohen's legal team argued that his statement was correct because Cohen never asked the president himself for a pardon. Trump did not immediately provide evidence of Cohen's attempt to secure a pardon or reveal when the alleged request was made. 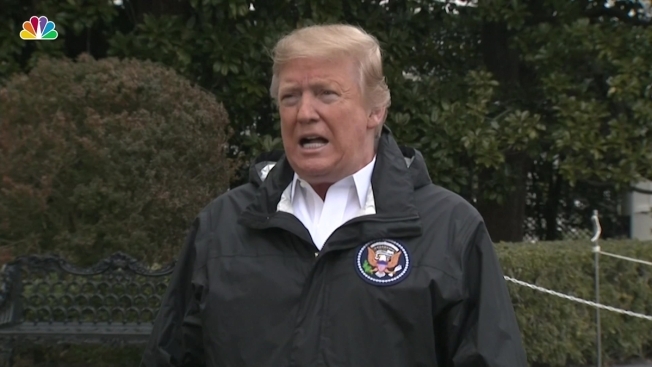 Earlier Friday, speaking to reporters on the White House lawn, he said that Cohen had told a "stone cold lie" when he testified that he did not seek presidential intervention. In response to Trump's tweet, Rep. Eric Swalwell, a California Democrat and member of the House judiciary and intelligence committees, called on Trump to testify under oath. "Michael Cohen gave sworn testimony. Will you? Under oath to Mueller or Congress?" he tweeted, referring to special counsel Robert Mueller, who is investigating Russian interference in the 2016 election and possible coordination with the Trump campaign. It is hard to untangle the conflicting narratives given the unreliability of some of the central characters. 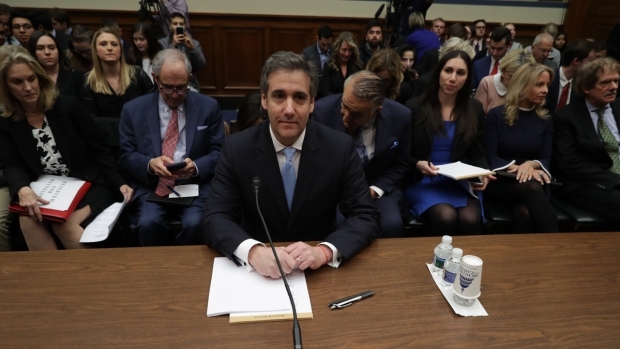 Cohen, for instance, has pleaded guilty to lying to Congress and saw his credibility attacked last week by Republican lawmakers. Davis has had to walk back at least one bombshell assertion over the last year — that his client could tell investigators that Trump had advance knowledge of a Trump Tower meeting with a Russian lawyer during the 2016 campaign — and Giuliani has fumbled facts and repeatedly moved the goalposts about what sort of behavior by the president would constitute collusion or a crime. 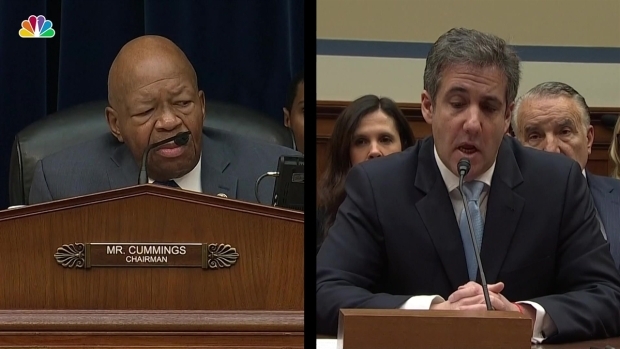 Davis said that instead of attacking Cohen, Trump should "be explaining why he, his son and CFO signed checks for hush money to keep a woman quiet," referring to copies of checks that Cohen presented during his testimony last week showing he was reimbursed for the hush-money payment to Daniels. At least one of the checks was signed by Trump and another was signed by Donald Trump Jr. and Allen Weisselberg, the Trump Organization's chief financial officer, Cohen said. "My answer was the president is not going to consider or give any pardons now," Giuliani said in an interview. "As I have said in the past, the president has the right to, and that doesn't mean he won't consider it when the investigation is over. But there are no plans to do so; that's the answer that Jay and I and the president settled on. 'The best thing for you to do,' I would tell everyone, 'is assume you don't have the pardon.'" Jay Sekulow is another Trump lawyer. 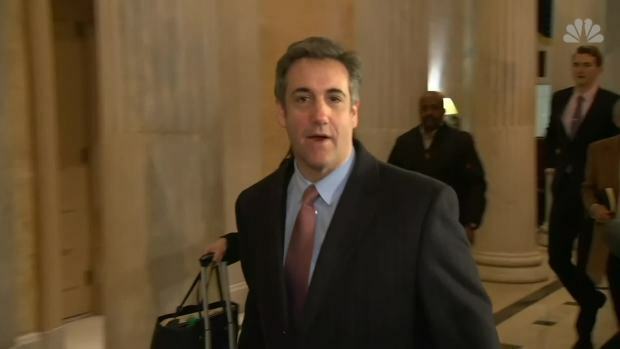 Cohen has become a key figure in congressional investigations since turning on his former boss and cooperating with the special counsel. During last week's public testimony, he called Trump a con man, a cheat and a racist. Trump, in turn, has said Cohen "did bad things unrelated to Trump" and "is lying in order to reduce his prison time." As questions grew this week, Cohen's legal team stressed that he was one of Trump's closest confidants and if he wanted a pardon, he would have just asked Trump himself — which the president, for the first time on Friday, claimed is what happened. Cohen arranged payments to Clifford, who goes by the stage name Stormy Daniels, and McDougal to prevent them from speaking publicly about alleged affairs with Trump. Cohen on Thursday sued the Trump Organization over its decision to stop paying his legal bills, which Trump declared to be "the most ridiculous suit I've ever seen."